Through the ‘Philanthropy Speaker Series (PSS),’ the class will hear from experienced professionals from for-profit and nonprofit organizations to better understand the variety of ways corporations, foundations, and individuals approach philanthropy. Furthermore, the PSS will inform and help students develop “best practices” on giving effectively. Brian is the Associate Director of Development at Lick-Wilmerding. Prior to joining the team at Lick Brian was the Vice President of Individual Philanthropy for GenesysWorks. He joined their national team in 2013 and has worked as a development consultant to numerous non-profits. In addition to consulting he served as Vice President of Advancement, Health Leads – a national, non-profit agency that mobilizes undergraduate volunteers, in partnership with providers in urban clinics, to connect low-income patients with the basic resources — such as food, housing, and heating assistance. His previous position was in Cleveland’s Urban Community School, where he served as Director of Advancement and worked extensively on public-private partnerships within the city. Before venturing to Cleveland, Brian was Vice President of Development and Alumnae Relations at Regis College and Vice President for Resource Development at Babson College in Massachusetts. He spent the early days of his career at the secondary school level, serving as Campaign Director and Director of Major Gifts at Thacher School in Ojai, California and Director of Special Gifts at Northfield Mount Hermon. Brian has a B.A. in English from Columbia University. He is a graduate of Roxbury Latin and Northfield Mount Hermon. producer, and editor has been featured on NPR, NYT, The Atlantic/CityLab & Teen Vogue. acquisitions, including Hotmail and Skype. capital fund and in Paris for an investment bank. Robin is a Phi Beta Kappa graduate of the University of North Carolina and holds a Master of Business degree from the Stanford Graduate School of Business. She currently serves on the boards of the UCSF Board of Overseers, the Exploratorium, the Stanford Graduate School of Business Advisory Council and the SugarBowl Ski Corporation. ​She is the founder and Chairman of the Board of the Bluefield Project to Cure Frontotemporal Dementia. For more on Draper Richards Kaplan, visit www.drkfoundation.org. 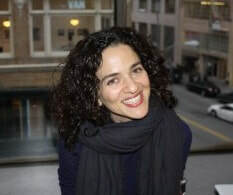 Doniece Sandoval is the founder and CEO of Lava Mae, a San Francisco-based nonprofit that’s transforming the way communities see and serve people moving through homelessness. Sandoval, 53, grew up in south Texas, but moved to the Bay Area in 1987. She founded Lava Mae in 2013 with the mission of "Delivering dignity one shower at a time." Her organization provides a mobile shower service for San Francisco’s homeless. Doniece has orchestrated marketing, PR and development for both private and nonprofit organizations including ZERO1: The Art & Technology Network, San Jose Museum of Art, Wilson McHenry Company, Informix, DoubleClick, Toysrus.com, McGuire & Company for Coca Cola and ACA Joe among others. Her passion is finding unique solutions to problems that matter to her.